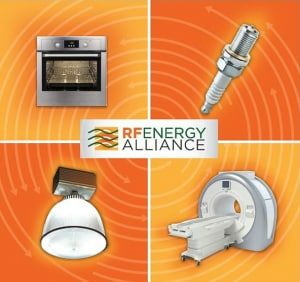 NXP has joined the RF Energy Alliance, a non-profit technical association with member companies dedicated to realizing the full potential of using solid-state devices for generating and delivering RF energy in a range of applications, including cooking. That’s an important breakthrough because solid-state devices can be incorporated into modern circuit architectures making them an integral part of a programmable, closed loop heating system. Circuits incorporating these devices are able to vary the power, and other RF characteristics and simultaneously measure the resulting use of that energy to form a closed loop cooking system. Closed loop RF cooking systems are influencing the latest automated and connected smart cooking appliance market. The technology is sought-after for its even heating, consistency over its lifetime, and adaptability. Additionally, it has a long life — lasting at least 10 times longer than vacuum tubes and without degradation of performance over that time. They also operate at tens of volts rather than hundreds or thousands of volts so they’re much safer. Solid-state RF power transistor devices represent the future of RF power generation. The end applications range from cooking to industrial heating, welding, drying and sealing equipment. With “cooking” applications, I’m referring to the use of RF energy to actually cook food, even several different kinds of food, without over-cooking and retaining moisture and nutrients for a higher quality result. These capabilities have the potential to revolutionize the way we use appliances to cook our meals by eliminating the guesswork, freeing us from trying to determine if the food is done cooking. For both cooking and industrial applications, the use of solid-state devices is a new frontier and one that many companies are not familiar with – precisely the situation that the RF Energy Alliance is helping to change. The group recently published its first specification, the “RF Power Amplifier (PA) Roadmap: Residential Appliances,” which provides a roadmap covering more than 40 technical parameters to give design engineers a head start in making the transition from tubes to transistors. Since the RF Energy Alliance was founded in 2014, it has tripled its membership. Members now include industry leaders in the consumer appliance industry such as Whirlpool, Panasonic, Midea and Miele, as well as ITW in the commercial cooking appliance market, and Cellencor, a pioneer in the use of solid-state devices for industrial applications. Needless to say, the organization has momentum and is focused on helping speed the adoption of solid-state RF power transistor devices in applications where they’ve never been used before. If you’re interested in the RF Energy Alliance, check out the Web site. To learn more about solid state RF products, visit http://www.nxp.com/RFcooking.